Juba, South Sudan, seen from the air. There aren’t a lot of places like Juba, at least not that I’ve experienced. If you fly in, generally you either come from Addis Ababa or Nairobi, and the first thing you notice is the shock of the first blast of heat as you step onto the tarmac, especially after the cool temperatures of either of the previous places. Many things in Juba are just like other cities in Africa; the dust, the ubiquitous Toyota Land Cruisers and motorcycle taxis, the smell of diesel and wood smoke. But other things are distinctly different, namely the tangible sense of desperation. It’s hard for me to describe to someone who hasn’t been there, but I’m going to try. After that, I’m going to try to do an even harder task, and that is to explain why. The first thing is to describe the conditions on the ground. 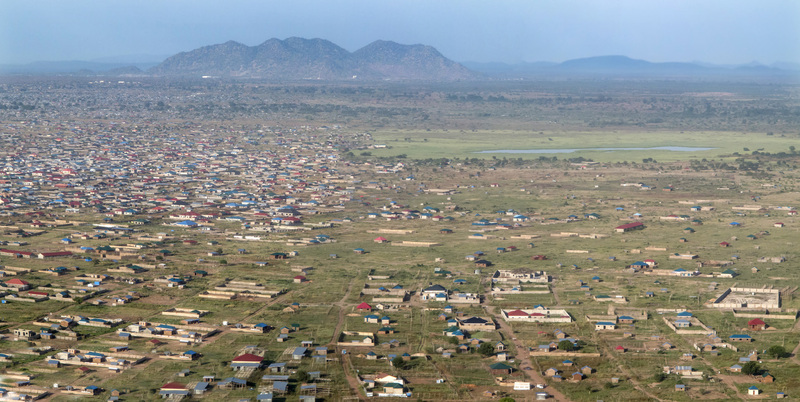 Juba went from a town of 115,000 in 1993 to a city of somewhere between 500,000 and a million in the past couple years. Obviously there was no way for infrastructure to keep up with that kind of growth. Since the oil shipments into Sudan stopped a couple years ago, there is no functioning power grid in the entire country, and you only have electricity if you have a generator. There are some paved roads through town, but almost all roads are just rutted dirt tracks that become very hard to travel if it rains. Juba’s dirt turns into a slick mud you could almost skate on, so driving is quite a challenge. Copious amounts of garbage is burned because there is no other way to deal with it, so it occasionally rains black ribbons of ash, and smoke sits on the city. There is no central water supply. All water is trucked to individual water tanks from the Nile, which runs through the city (and is quite beautiful). Consequently waterborne disease is a major problem. None of these things on their own really explain the sense that comes over you in Juba, though. I believe the reason for that sense is the same reason the city has grown so fast in the last fifteen years. 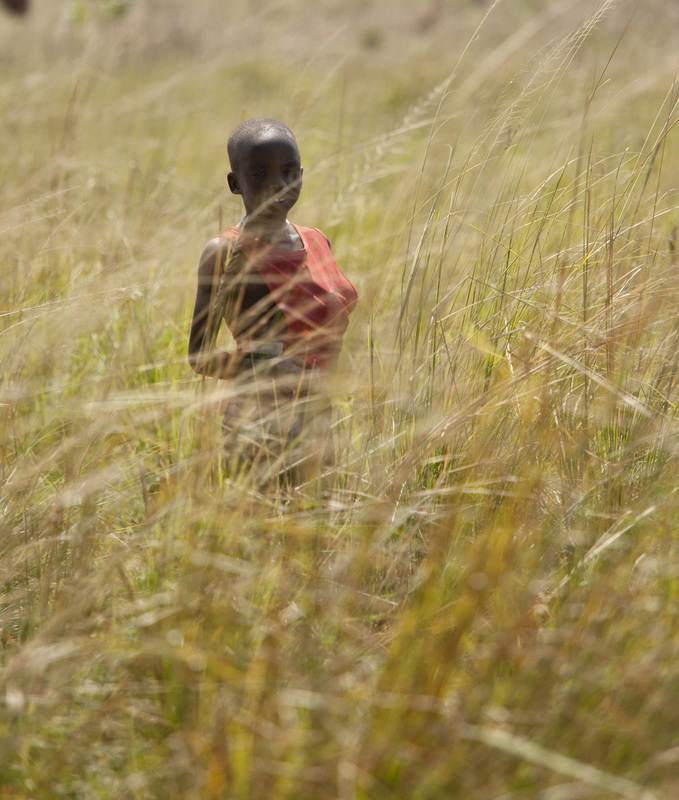 Traditionally, the South Sudanese have lived in villages in the scrub forests and grasslands. They live in traditional thatched huts in family groups, among a larger village. Some villages are extremely large. They raise cattle with enormous horns, and do some farming with very basic methods. They have very tight family and community ties. One of the reasons westerners (especially Americans) have a hard time understanding Africans is because of the way we see time and the way we see our role within a community. We see time as a finite thing to be planned out and quantified, divided and packaged. We have day planners and use phrases like, “time is money” or “how am I going to get that hour back?” Africans largely see time (or don’t see time) more as somewhat of an unlimited resource, and if something doesn’t get done now, that’s ok. The focus is more on relationships and community. Church doesn’t necessarily start at such and such a time It starts when the pastor is ready and the drum beat starts to signal for everyone to come. There are advantages and disadvantages to each way of seeing time. In the first way, time can be used more productively for producing goods or services, but the other way people tend to have closer relationships and a stronger sense of belonging and community. Villages truly raise the children, and the elderly are not abandoned to nursing homes. So what happened? Well, in a nutshell, the war happened. South Sudan was at war with northern Sudan almost constantly from the 1950’s through 2011, when independence was finally declared (though some level of war still goes on with north Sudan.) Even when there wasn’t all out war, there was oppression from the Arab, Muslim northern government against the Black Christian and Animist south. Decades of war caused people to flee to wherever they could find safety. One of these places was Juba. The choice was to stay and raise cattle and be killed, or head to the relative safety of a large group of people in Juba. This desperation along with tribal division (which is a subject worthy of a book more than a blog) caused violent cattle raids and the abduction of children. This was another reason to leave the villages and head to the city. So people left their villages. The lucky ones could take their families with them, the unlucky ones either had lost their families to the war, or had been separated from them in the diaspora. Community was lost. The cattle were raided, which is currency in South Sudan, so they no longer had assets. From a distance, Juba looked pretty good as the promise of a job and security called. Juba has now become the African version of a gold-rush town in the American west. People come with hope of a new life, security, and a way to take care of their families. This is where those two different ways of seeing time come in. There are a certain number of South Sudanese and a lot of foreigners that run businesses in Juba. They understand that time is money, They are also more individualistic people who are driven personally to succeed rather than seeing themselves as much as part of the community. They are there to make money, not build a community. It’s a very western way of thinking. It’s good for running a business, but not good for building lives, and it’s not the prevailing way of thinking in South Sudan. These people naturally become successful as business owners, but people coming in from the villages don’t think this way, and are quickly exploited by those that do. Making this situation worse is that in Juba, all the tribes have been thrown together, and there’s always that tension under the surface. Consequently you have a high capacity for violence. You have a large number of people who came looking for a better life and didn’t find it. They’re alone, their community is gone, everything that is familiar is gone, and they have no money. The only thing worse than having no hope is thinking you had hope and then finding out it was false. All of this together is what creates that tangible desperation I was speaking of. Juba is a place where I always feel like I have to look over my shoulder. I might try to write later on what might be done about this, but I really don’t know if I’m up to the task. My goal today was really to try to bring some understanding to this subject. There are of course more layers to this, as nothing with people is simple. 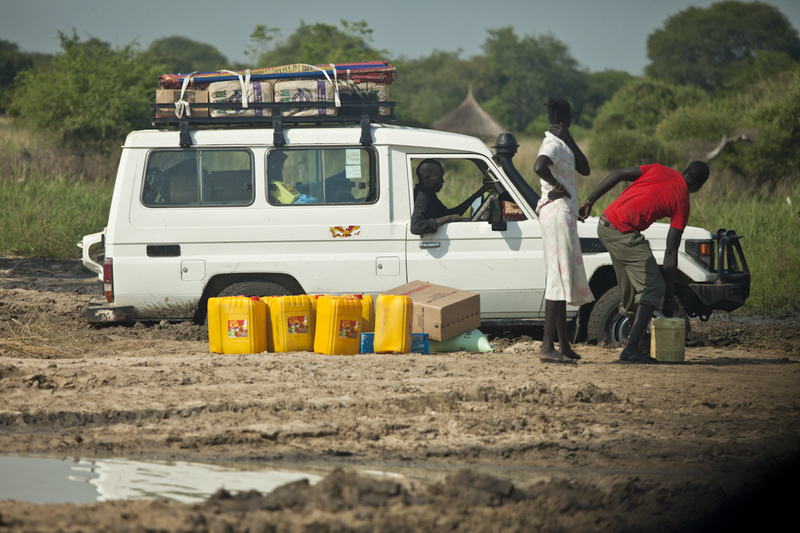 It’s been a rough week in Bor, South Sudan. I’m still trying to sort out all the details as to what happened, but in any case, the end result is that about fifty people are dead. Even as the mass graves settle from the previous conflict, new conflict has arisen, this time between youth in Bor and United Nations soldiers. I hesitate to call them peace keepers because that doesn’t seem to be their primary goal. In any case, the violence continues. One would think that this would be a time when people would be angry and would lash out at each other or at God. This is not what I’ve seen though. We ask ourselves many times, “why would God let this happen?” I heard an evangelist recently speak about their conversation with an atheist. The atheist insisted that the blood of Christ makes no difference in the world, because the world is worse off now than when He came. The evangelist responded that the atheist was mistaken. He said the blood of Christ is like soap. You can own soap, and even work in a soap factory, but until you apply it, you will not be clean. It was truly humbling to receive that. Faith for them is not a tool to add to your utility belt, it is everything. They realize that in a world where nobody wants to apply the soap of Christ’s blood, He is still their only hope. They don’t dread Christ coming back, they long for it, because only then will there be real peace. Hebrews 11:1 says, “Now faith is the substance of things hoped for, the evidence of things not seen.” Their faith astounds me. I’m finishing by posting a shot I grabbed from one of my friends. It’s a picture earlier this week of a parade to celebrate Palm Sunday. 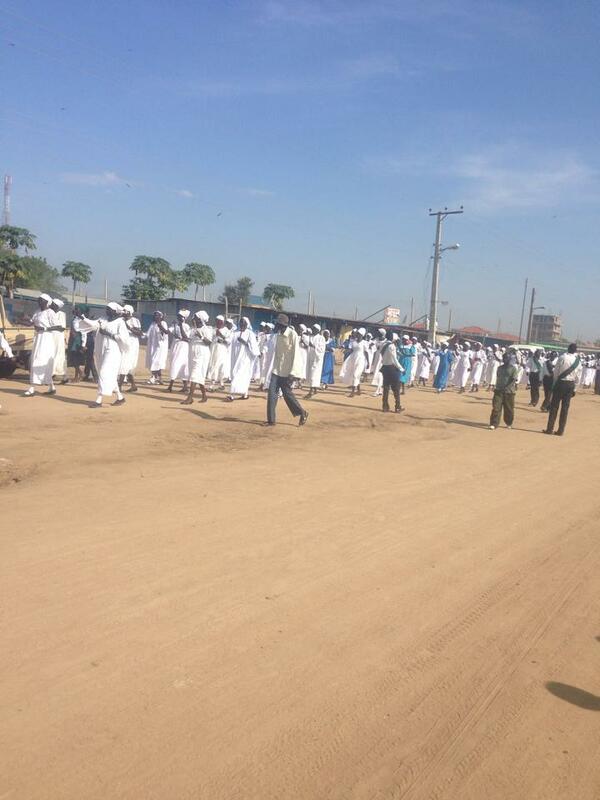 Even as violence brewed and the town of Bor is still in shambles, they are celebrating. Lord let me be like that. It’s been over a week since I last updated this blog, not because there was not something to write, but because it was just too difficult to write it. I wouldn’t have believed it possible, but the situation has further deteriorated since then. Only now when there is a glimmer of hope can I write about it. We have heard stories of incredible escape, but also tragic, personal, heartbreaking stories. The latter I may tell when there is some emotional distance, but perhaps never. Since then, the SPLA pulled out of Bor, for two reasons as far as I can tell from what I’ve been told. The first is because the town of Bor was full of unburied bodies, and the risk of disease was a concern. The second and I’m sure the larger reason was that 25,000 Nuer rebels gathered to the east to try to retake the town of Bor, which they subsequently did. So for our friends the situation became even more difficult. Their trip back to Bor was largely fruitless, since the entire market and the hotels were looted, and much of the town was burned. As the threat of a further assault built, thousands gathered at the Nile to cross to safety in a place you can’t even google. A number of children drowned in the crossing, and many more died from dysentery from drinking the Nile water, which was the only water available. Thank God, though, it sounds like most of the people made it across. 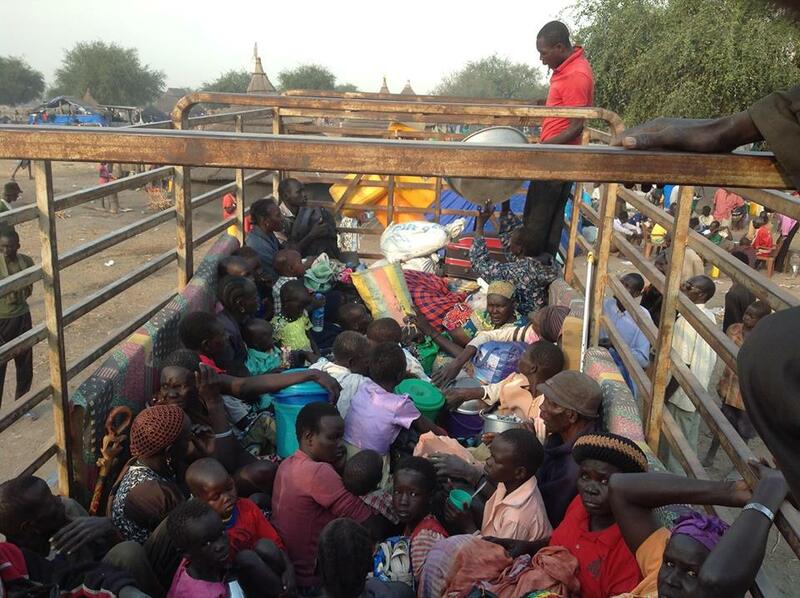 From there the people of Bor were able to flee to Juba, where the fighting was not as fierce, though it’s still going on. As a footnote, I’ve been to Juba probably ten times, and there’s never been a moment there when I didn’t feel like I’ve had to constantly look over my shoulder. So to flee to Juba, you know it’s bad. Refugees coming into Juba in the back of a flatbed truck. At this moment, it look as if there is another assault imminent on the town of Bor from SPLA forces. The talk is that Riek Machar is trying to hold onto the town of Bor so he will have a bargaining chip during peace talks. It’s a tragedy that our friends are the bargaining chip he is using in his bid for power. Please pray for our friends, and the people of Bor and the church there as this atrocity continues. Pray for a real peace, for the safety of our brothers and sisters, and that Northern Sudan doesn’t use this as an excuse to try to take back their former territory.